With the release of the Galaxy S8 now in the rear mirror, Samsung is switching focus to its more affordable J series. 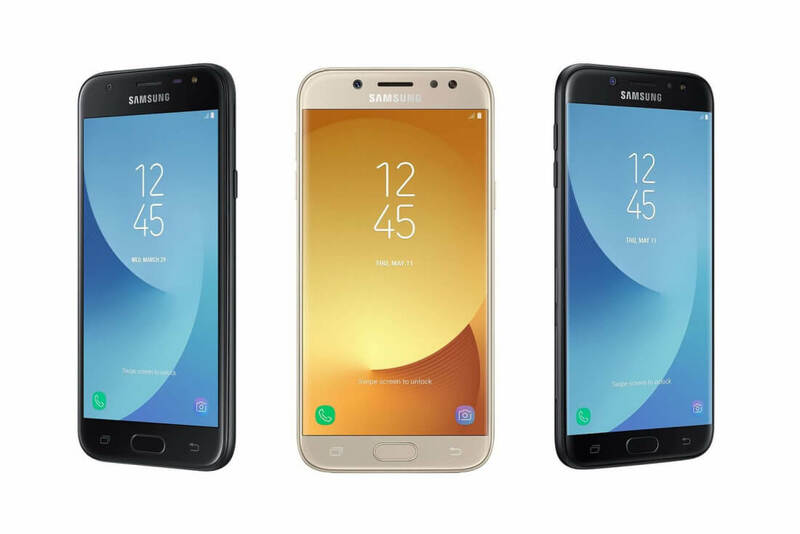 The company had already released the Galaxy J3 last month in the US, and now it has officially unveiled the new Galaxy J5 and Galaxy J7. The phones sport a metal design, fingerprint sensor, VoLTE support and will ship with Android 7.0 Nougat out of the box. The J5 and J7 both come with HD super AMOLED displays (5.2-inch and 5.5-inch, respectively), 16GB of internal storage which can be further expanded up to an extra 256GB via a microSD card slot, Exynos 7870 based eight-core A53 1.6GHz processor with Mali T830 GPU. The 5.2-inch Galaxy J5 comes with 2GB RAM and a 3,000mAh battery, while the 5.5-inch J7 has 3GB RAM and a 3,600mAh battery. All models are available in dual- or single-SIM options, have an FM radio receiver and feature 13-megapixel cameras on the front and back with f/1.7 and f/1.9 apertures, respectively. Other features include Wi-Fi 802.11 b/g/n, Bluetooth 4.1, Micro USB port, and a 3.5mm headphone jack. The Galaxy J5 will be available in Europe this month for around €279 ($314, £243) followed by a July launch for the Galaxy J7 at €339 ($381, £295). The Galaxy J3 will be available in August for €219 ($246, £191) — Samsung launched the entry-level J3 with AT&T last month in the US for $179. All three models in the J-series will be available in black or gold. Samsung’s affordable J-series may not have the same high-end features as the premium Galaxy S8 or Note series, but they do well in emerging markets and is key to its market share leadership.